Cebu City is situated on the eastern shore of Cebu Island, which is also the city capital of the island. Cebu is one of the largest islands in the Philippine Archipelago. It is considered as the “Queen City of the South” because of its economic stability and other factors. So in terms of Philippine history, this province can contribute more, especially in religion. It is the center of the Archdiocese of Cebu City. It was established as diocese on August 14, 1595 and was became the metropolitan archdiocese of April, 28, 1934 with its first archbishop Gabriel M. Reyes. The construction of the structure was interrupted due to lack of funds and other circumstances. The facade features a trefoil-shaped pediment decorated with floral carves. Cebu Cathedral Museum is an ecclesiastical museum of the Archdiocese of Cebu. The building itself doesn't have any exact details during the constructions because the archdiocesan archives were burned along with the Cathedral and the Archbishop's Palace during the trial bombing of the U.S. forces in September 1944. But according to some historical people, it was built by Bishop Santos Gomez Marañon during mid-1800s. Bishop Marañon was known as a church builder. He designed the Metropolitan Cathedral and other religious structures in the province of Cebu. Colon street is said to be oldest street and shortest road in the Philippines. It was name after Christopher Columbus who bears different names (Spanish: Cristobal Colon, Italian: Cristoforo Colombo, Protuguese: Cristovao Colombo.) It was established by the Spanish arrived in Cebu in 1565, led by Miguel Lopez de Legazpi (a Spanish conquistador.) The local government erected Colon Monument in the intersection of the street. Heritage of Cebu Monument is situated at the original Plaza Parian. It occupies a triangular portion near the end of Colon Street. This Monument showcases the significance and symbolic events in history of Cebu during the reign of Rajah Humabon. It was a work of art by the National Artist Edgardo Castrillo on July 1997 in cooperation with Mayor Alvin Garcia and was inaugurated in December 8, 2000. This house was originally owned by Chinese merchant, Don Juan Yap and Doña Maria Florido. It is one of the oldest residential house in the Philippines. It was built between 1675-1700 and was made from Coral stones, used egg whites as glue and "Tigas" or clay for the roof. The wooden pats of the house were made of "balayong" and "tugas" or molave which is the hardest woods in the country. The structure houses the Christian cross which is made up of wood erected by Ferdinand Magellan (a Portuguese explorer) during his exploration in Cebu, Philippines on April 21, 1521. This cross can be found inside an octagonal chapel in front of Cebu City Hall and beside Basilica Minore del Santo Niño. This one of the most prominent tourist spot in Cebu and Philippines. But, the cross that you can see today is a tindalo wood where the splinters of the original Magellan's Cross were encased. The wood of the original cross were deteriorated because the people were chipping some parts and making it as a souvenir in the belief that it's miraculous. Basilica Minore del Santo Niño or Minor Basilica of the Holy Child is one of the minor basilicas in Cebu City. This is the oldest Roman Catholic church in the country built in the same spot where the image of Santo Niño was found in 1565 by Spanish explorers led by Miguel Lopez de Legazpi. This statue is the same with the statue given by Ferdinand Magellan to the wife of Rajah Humabon, 44 years later, as a gift during their baptism on April 14, 1521 at the exact location of Magellan's Cross today. 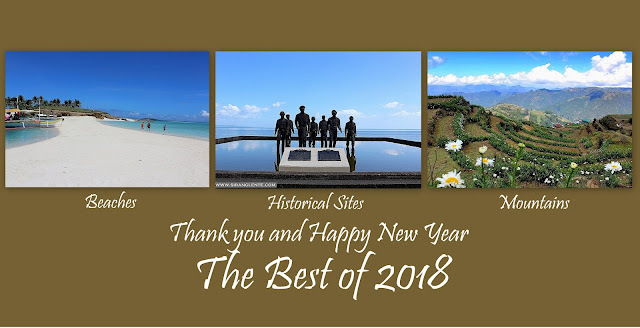 Fuerza de San Pedro is a military defense structure built by the Spanish and locals of Cebu under Miguel Lopez de Legazpi's (Spanish conquistador) command, but the date of the construction wasn't sure. There were claims that Jesuit Antonio Campioni built the fort in 1630. But, there were a lot of major renovations in the 19th century for the structural improvements of Cebu. Transportation: it's more than an hour travel from Manila to Cebu International Airport. From the airport, I rode in a cab going to Cebu City. Then, during my solo-backpacking in the city, I used my map, walked on the streets and asked questions to the residents in finding those historical and heritage sites.